Select an inspirational quote, a passage from a book, a poem, or even song lyrics, and a person to dedicate it to. 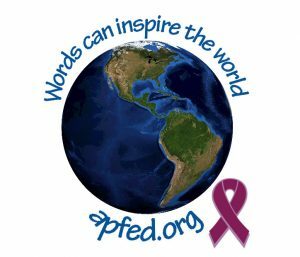 During National Eosinophil Awareness Week (May 14-20), record a video of yourself reading the quote in honor of your chosen person and post it to your social media channel. Direct your followers to apfed.org to learn more about EADs. Use the hashtags #READ4EAD and #APFEDorg — we will share a few select videos on our channel during National Eosinophil Awareness Week. Donate $15 (or whatever you can) in honor of APFED’s 15 Year Anniversary. You’ll be supporting groundbreaking research through APFED’s HOPE on the Horizon Research Fund. Share your video on social media during National Eosinophil Awareness Week (May 14-20) using the hashtag #READ4EAD! The following video was produced by community member Michaella and her friends to showcase the #READ4EAD campaign.